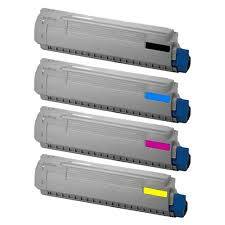 Value plus, compatible Lexmark C544X1MG magenta toner cartridge, page yield 4,000. Compatible for use in Lexmark laser printer models C544, C544dn, C544dtn, C544dw, C546, C546, C546dtn, X544, X544dn, X544dw, X546, X546dtn, X548, X548de, X548dte. "ONLY". Cheaper per page red printing than originals. Economic affordable Magenta Lexmark High Yield C544, C546, X544, X546, X548 toner cartridge, next business day courier delivery, Brisbane, Logan, Southside Brisbane, Brisbane CBD, Northern Suburbs Queensland, CBD & Inner Suburbs Queensland, Redcliffe, Beaudesert, Sunshine Coast, Gold Coast, Mt. Isa, Gladstone, MacKay, Toowoomba, Ipswich, Cairns, Townsville, Roma, Rockhampton, Hervey Bay, Bundaberg, Maryborough, Canberra, Belconnen, Queanbeyan, Perth, Perth CBD, Rockingham, Mandurah, Bunbury, Kwinana, Hobart, Burnie, Launceston, Adelaide, Adelaide CBD, Mount Gambier, Gawler, Whyalla, Melbourne, Melbourne CBD, Geelong, Ballarat, Bendigo, Cranbourne, Melton, Mildura, Moe, Wodonga, Sunbury, Wangaratta, Traralgon, Frankston, Shepparton, Warrnambool, Sydney, Sydney CBD, North Sydney, North Shore, Sydney Eastern Suburbs, St George, North West & Ryde, Hills Shire, Liverpool, Parramatta, Blacktown, Penrith, Central Coast, Newcastle, Maitland, Wollongong, Nowra, Armidale, Bathurst, Orange, Coffs Harbour, Dubbo, Goulburn, Lismore, Port Macquarie, Tweed Heads, Richmond, Campbelltown, Taree, Tamworth, Shoalhaven, Bega, Wagga Wagga, Albury.